Istanbul, Feb: Turkish Interior Minister Suleyman Soylu on Saturday said that the death toll from the collapse of a building in the city of Istanbul which took place on Wednesday hit 16. Added that the search and rescue work has been going on for the last 58 hours. 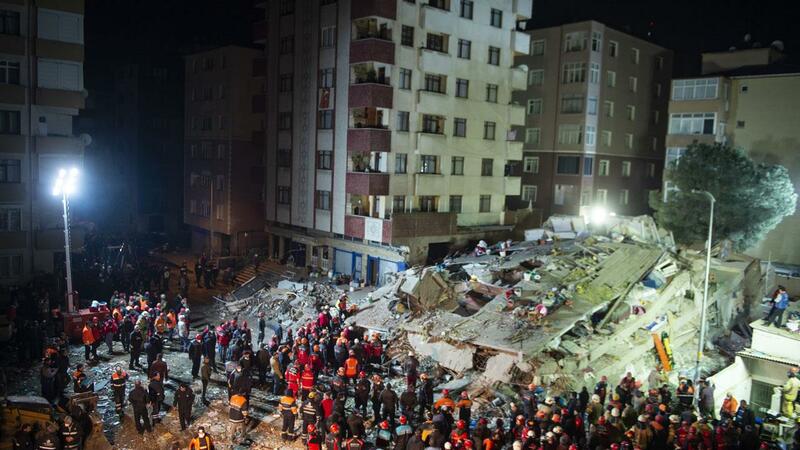 The Turkish authorities announced on Wednesday evening the death of 10 people after the collapse of an 8-storey building in the region Kartal in the Asian part of Istanbul. Search and rescue teams continue to search for survivors in the area, and the Istanbul Public Prosecution has launched an investigation into the incident.